On the eve, Tomsk Polytechnic University hosted a delegation from Shijiazhuang (China). 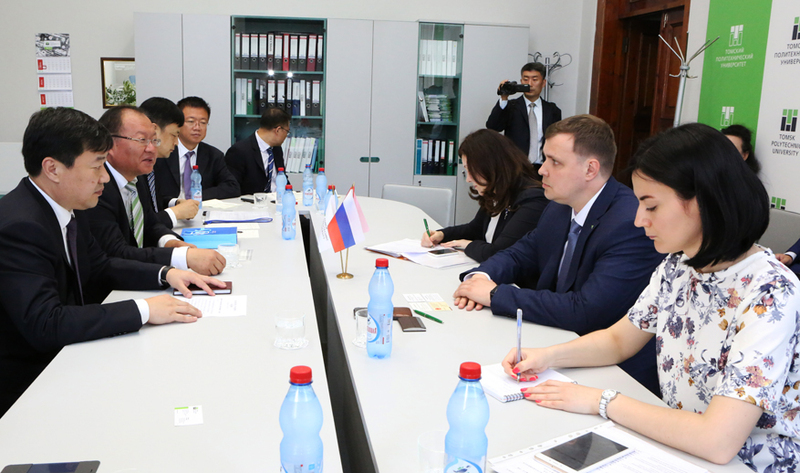 During the working visit the representatives of the city administration and TPU signed a cooperation agreement between the University and Shijiazhuang Hi-Tech Industrial Development Zone. The main goal of open hi-tech zones established in various provinces of China is to introduce advanced hi-tech methods of manufacturing in industrial enterprises. The resident companies of such zones receive preferential taxation and affordable credit system. The Shijiazhuang Hi-Tech Industrial Development Zone is focused around three industrial clusters: biopharmaceuticals, telecommunication and microelectronic equipment, and instrumentation. According to him, both the Hi-Tech Industrial Development Zone, the city, and the province of Hebei are interested in supporting applied scientific research and developing cooperation between scientific and industrial communities. - noted Mr. Zhao Wenfeng.